Pay It Forward Networking is a non-profit group committed to granting wishes of children who are sick, facing a disability, or other adversity's dreams and needs become a reality through the power of networking. 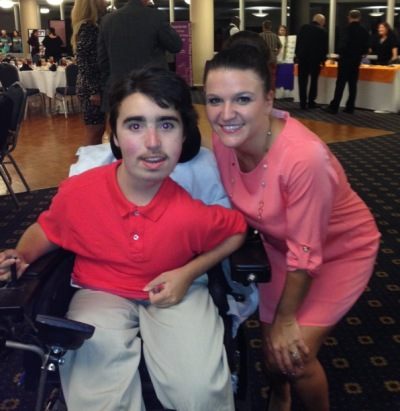 This idea was born after witnessing a day of generosity from friends, acquaintances and complete strangers come together through networking to make a young man's dreams come true while he continues his battle with Muscular Dystrophy. To grow this dream and help as many kids possible, we need to grow our network! It's easy and free. Simply sign-up for our newsletter using the form on the home page or you can text payitforward to 42828. You will then receive our wishes directly to your inbox. You can then contact us if there is something you can help with. We also ask that you share our wishes with all your contacts as you see them posted - you never know who could possibly help! There are no meetings, no membership fees and zero spam mail! We are all volunteers. We are just the middle man passing along a child's dream to those who can make it come true! As a new and growing network, we welcome any ideas you may have to help us grow!